It was the end of spring break and it seemed my wife and I had forgotten to purchase new water bottles for our sons’ (K & 2nd grade) lunches on the first Monday back to school. Which water bottle do you want in your lunch tomorrow? Why do you both want that water bottle? How do you know it is larger? Which bottle holds more water? This was the point of the conversation where I knew he understood the basic concept of volume. On this day, we did not complete the experiment to its capacity and instead explored both labels. Even after reading 10 oz on both bottles I watched as both my sons worked through the idea that different shapes could hold the same volume. This five to ten minute conversation was an essential piece to their math journey. Without using fancy math words, or being in “math class,” my sons were exposed to an authentic math activity. They experienced comparing three dimensional shapes (K math standard) and its attributes. The fact competition and debate were involved helped enhance the discussion. Which bottle costs more to produce? Everyday life experiences can lead to impactful math conversations. Have you seen people using their fingers to multiply by nine? There’s this trick where if you put down the finger corresponding to the other factor, you can read the product off your remaining fingers. Fingers to the left represent the tens place digit and fingers to the right represent the ones place digit. If you or your child haven’t seen this trick before take some time to play and verify that it really works. Then ask kids’ favorite question - why? Ask your child to do some observing and look for reasons behind the patterns. It might help to write down the numbers to be able to see a pattern. The big idea here is that we have ten fingers and a base ten number system (every time you count to ten you start over in the ones place). Using the idea of "nine is one less ten" we can figure out that every multiple of nine will be that many less than the decade number (multiple of ten). Try it out for some other multiples of 9. Get it now? 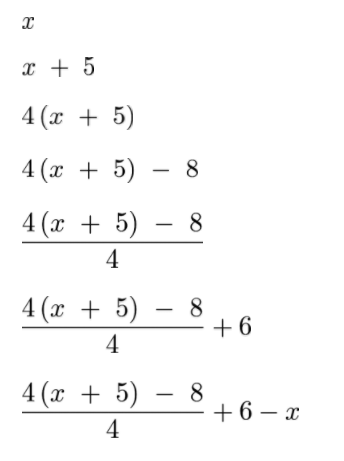 Every time I see a math trick, first I verify that it really works and then I ask why. Asking “why?” is what math is all about! Once you’ve figured out the reasons behind a trick, you can rename it a strategy. There are lots of tricks that people use in math class without understanding the math - so many that I wrote a book about them called Nix the Tricks. If you’re interested in turning more tricks into strategies, check out the free download. No matter how old your child is, and no matter your level of math comfort, there is a game for you and the family to play. With 34 games currently shared on the webpage, you are certain to have a good time and can take comfort in the fact that the team at Math Munch have vetted the games for value and relevance. Playing the game with your child. Opening up the browser and walking away has much less value than sitting down and taking the time to talk through strategies, share new ideas, and bond over the successes and failures. Limiting the time on the game. Have you ever played a game for so long that you lost track of the clock? No? Just me? OK, well let me tell you that it's easy to do, especially when you're focused. If you and your child set a time limit, you can pace yourselves and ensure a meaningful interaction. Having fun! Games are intended to be fun, and they're more fun when playing alongside someone you love. If a game gets too frustrating or overwhelming, talk through it, then move on. Put the device away. Come back to it later. There's no need to create tension in something designed to bring people together. This time of year, the weather starts playing tricks on us. One day, it's snowing; the other, warm and sunny. What gives?! The above tweet from a weatherman in Maine, originally retweeted into my feed by Tracy Zager, demonstrates an incredible question based on weather patterns. Why doesn't 43 degrees Fahrenheit feel half as warm as 86 degrees Fahrenheit? Would it be different in Celsius? What is the difference in the high temperature and low temperature on Sunday, April 23rd? Why are the highs expected to fluctuate so much, but the lows remain fairly consistent? Does the wind speed have an effect on how warm it feels outside? Yes, these questions can be answered with the help of science, and that's perfectly fine. Here's my challenge to you as a parent or teacher: take a screenshot of the 7 (or 10) day forecast in your area and ask your child(ren) what questions they have. Pick one or two, and work to answer them. Then, when you're done, send me the image on Twitter or email. Have you seen that Table Talk Math is now a book and available on Amazon? Check it out and let me know what you think! If you'd rather get a free copy, email me or Tweet me your solution for one of the challenges, along with how you and your child worked through the problem(s); I'll pick at least one subscriber and send you a copy of Table Talk Math! OH NO! I bought tile to upgrade my bathroom floor, but forgot the tape measure at my friend's house. Can you help? How many tiles would it take to cover the floor from start to finish in the image above? I'm wondering, though, how did you come up with your solution? Sure, you can space it out by looking at your screen. You can eyeball it and estimate, but you're bound to spend too much or--worse--not enough on tile. If you want a little more help, and have a Google account, you can use this Google Drawing from which the image was created. All you need to do is go to Filer and Make a Copy. Want my solution? Email me and I'll share what I did, but only if you share your strategy! Ok, so that was fun, but how about stepping it up? How many of these tiles would it take to cover the grey floor completely? Again, if you want the Google Drawing of this, follow the link. Want the solution? Send me yours via email, comment on this blog, or Twitter. Welcome to Table Talk Math. This week, I'm sharing a fun and scary image, then asking you to estimate. 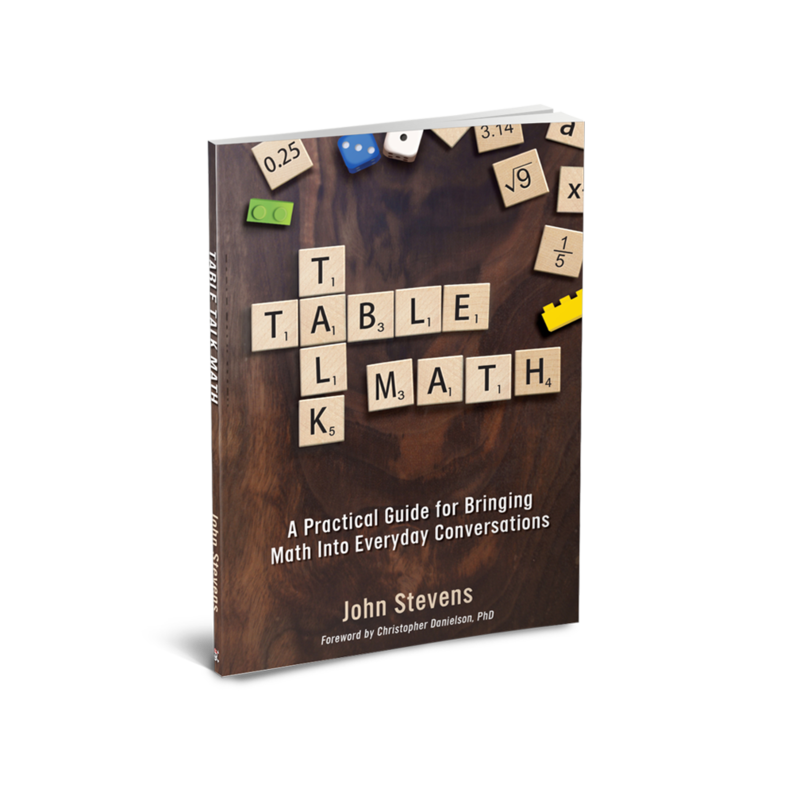 Have you seen that Table Talk Math is now a book and available on Amazon? Check it out and let me know what you think! 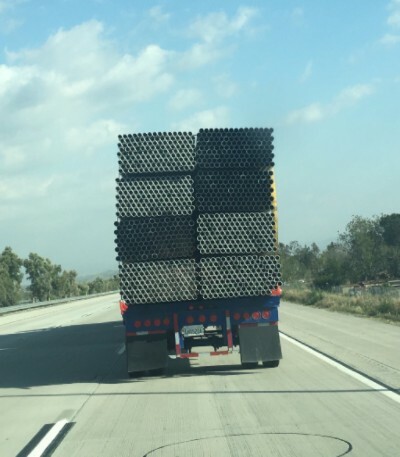 How many pipes are stacked on the bed of the truck? On our way to baseball practice last week, my family and I were approaching the back of a shipping truck carrying a whole bunch of steel pipes. From the back, my 6 year-old belted out, "wow, that's a lot of pipes!" It sure was! Where were they heading? What could they be used for? How much is all that steel worth? While those questions ran through my mind, two others were more accessible: how many do you see, and how did you count? My youngest, 4 years young, went with his upper bound: "A ZILLION!" My oldest, the 6 year-old, started counting. Well, I wasn't about to sit behind this truck for two hours, so I had him count as much as he could and then guess. He has not yet learned multiplication, so his counting to 27 and guess of 500 was just that: a guess. In the bottom left, there is a group. In that group, there are 14 pipes across and they are stacked 9 pipes tall (from what I counted). 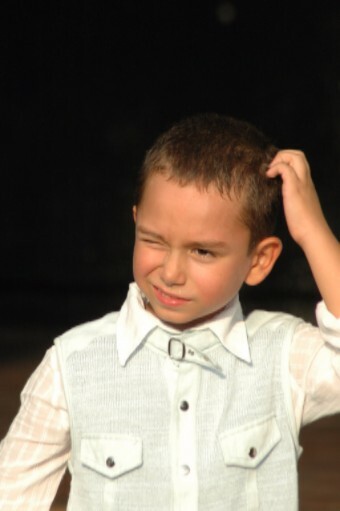 Knowing that, 14 * 9 can be broken down to 10 * 9 and 4 * 9. 10 * 9 is 90. 4 * 9 is 36. Adding them together, there are 126 pipes in each set. There are 2 stacks of 4 sets, so 8 total sets. 126 * 8 is 1008. There are 1008 pipes on that truck. I counted all the way across and got 27 pipes. I counted all the way up and got 36 pipes. So, which one of us is right? Neither? How did you do it? Share your method and solution with me and I will feature it on the website! Here are a couple so far. @Jstevens009 8 sections of about 15 by 10. So 150 times 8. Or 300 times 4. Or 600 times 2. 1200 pipes. @Jstevens009 Hmm, looks like 9×15×8 = 1080. But I cheated by counting! Welcome to Table Talk Math. This week, I'm sharing some subscriber-create number puzzles from last week. 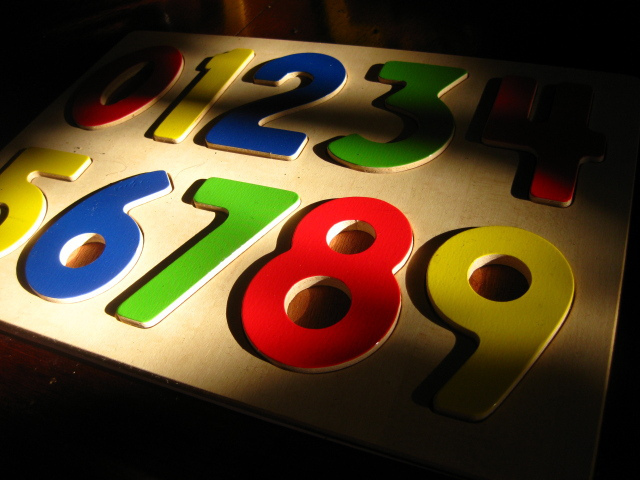 Thank you to all who submitted number puzzles to share with others. I have taken a couple and compiled them here. As a thank you, I will be sending a signed copy of my upcoming book, Table Talk Math, to each of the families. My challenge to you is to try these out with your child and see if you can come up with the algebraic expression it is building. Subtract that number by your original number. Dylan got 4, but how? What does the expression look like? Aleysa got 1, but how? All that work for an answer of ONE?! What is the expression that her challenge created? Next week, I will be showing you a picture that is sure to get the table talking. In the meantime, continue creating puzzles with your child and please share them with me. This has been fun to see the replies from all of you who have sent something in. Welcome to Table Talk Math. This week, I'm challenging you to a puzzle, then challenging you to create your own. WARNING: April 1st is coming up quickly and I want to make sure you're ready. Nobody's going to pull a fast one on you, right? That was fun! But wait, how did I guess your number? What I did was build an algebraic expression, then I had you complete it, step by step. That way, you know your original number will subtract to zero and you are left with a specific value. That is how I knew you ended with 9! So here's my bigger challenge to you. Create one with your child, or with your class of students, and send it to me. I'm going to take a few of them and feature them on the website, tabletalkmath.com, and will be giving out a special prize to a few of my super-puzzlers. Challenge me! Welcome to Table Talk Math. This week, try some of these ideas at home! There is a lot going on this week, so I want to make sure you had some ideas to try out with your child(ren) at home. Follow the links for more information or reach out to me and let me know what you wind up using! Every March, math teachers everywhere get giddy as the 14th approaches. Pi, a greek letter that also sees a lot of time in math problems, is often abbreviated to 3.14, hence the excitement and significance around March 14th. When you and your child tries something from the site, please let me know; I would love to feature your products and your process. 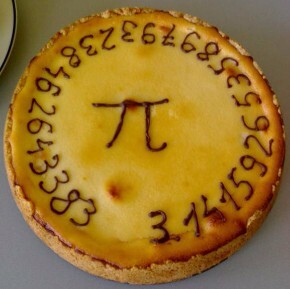 At the same time, Pi Day is about more than memorizing digits of pi. If you can get a string and measure circles, manipulate measurement, and understand the properties of why pi works, that's the real value. If you watch sports, there's a very good chance you know about March Madness, an annual test in your ability to pick the winning NCAA Basketball bracket. Can you do it without bias? Can you pick the upsets? Jordan Ellenburg, author of How Not to Be Wrong: The Power of Mathematical Thinking, offers up a mathematical approach to filling out your bracket that is worth checking out. For the families with middle and high school students interested in college basketball, filling out a friendly bracket and seeing how your probability plays out is a fun and engaging way to use math to serve a conversation. How is your bracket going? Let me know and I will feature it on an upcoming newsletter! Yes, St. Patrick's Day is right around the corner. With the majority of Google Searches littered with half-hearted attempts to engage children with math while they wear green, I was able to find one activity that is worth digging into: Lucky Leprechauns. The focus of the game is for fifth graders, but you know your child and will know if it is interesting. As an 8th grade teacher, this is something I see being done in my classes, and might even try it out with my first grader... as long as I get to eat the candy afterwards.